Redefining the classical concept of an underwater vehicle. Medical Device That Makes You Cry…for a Good Reason! Posted in: Well Read. Tagged: Biology, Biomedical Engineering, Electromechanical Engineering, Engineering, Innovation, Mechanical Engineering, Medical Device, Research, Science, Technology, Well Read. I used to love wearing contacts. The first time I put them on was like seeing the world in full HD! The only problem is that I have very dry eyes which makes wearing contacts for extended amounts of time very difficult. Scientists at Oculeve have set out to solve this medical problem that affects more than 20 million Americans. The only catch? 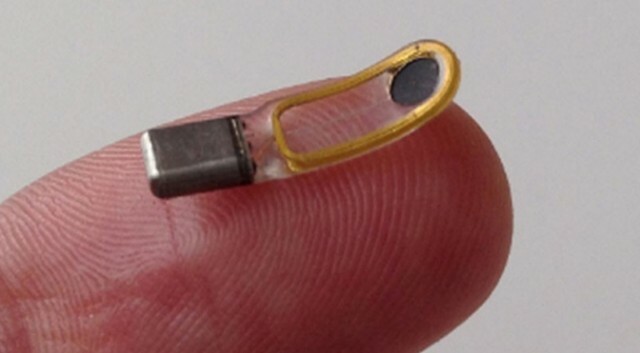 The very small device jolts you right in the lacrimal! The implantable neurostimulator is injected or placed via a small incision below the eyebrow or in the nasal cavity. From here, the device sends small electrical pulses to the lacrimal glands to stimulate tear production. This process is controlled by remote and can generate tears as the user needs them. A major design challenge is in the recharging of the device’s battery. Getting to the device to charge every so often is impossible for obvious reasons so a form of inductive charging has to be used. This still leaves the user with placing a charger very near their face to charge the small battery; less painful but very awkward. Do I see myself using this technology? Not for a very long time! For now, I’ll stay away from zapping my tear glands and use trusty eye drops instead. More information about tears and the device here. ← A Typing Test to Diagnose Parkinson’s?